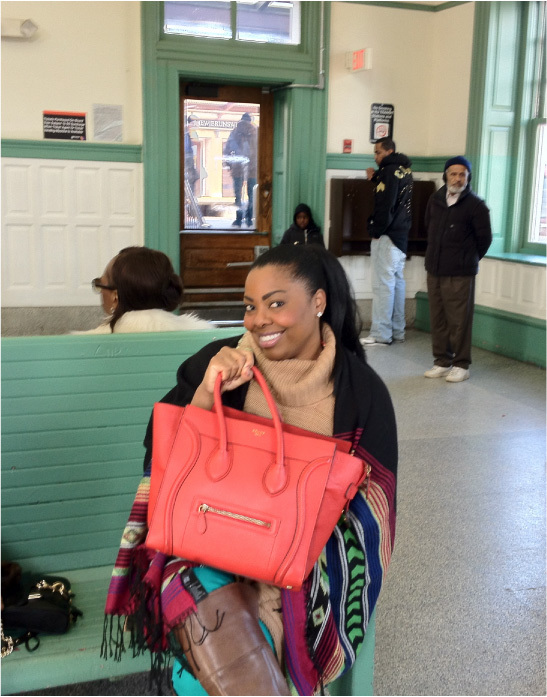 A couple of months ago, I decided to unload some of my favorite handbags in order to purchase my new baby – the “Céline Luggage Tote.” I sold 3 different bags on eBay that I loved but wasn’t using. It was hard to part with them but I’m so glad I did. After much research and stalking. I purchased my “love bag” from a reputable seller on eBay. The seller was great, honest, and really informative. She made sure to provide me with all the details and markings on the bag to ensure its authenticity. She owned 3 other Céline Luggage Totes and decided to sell me this lovely bag at a great deal! The bag is stunning! The color (coquelicot) is a rich red lipstick color. It’s AH-mazing! The leather is so durable and the lining inside the bag is made from the most luxurious suede. 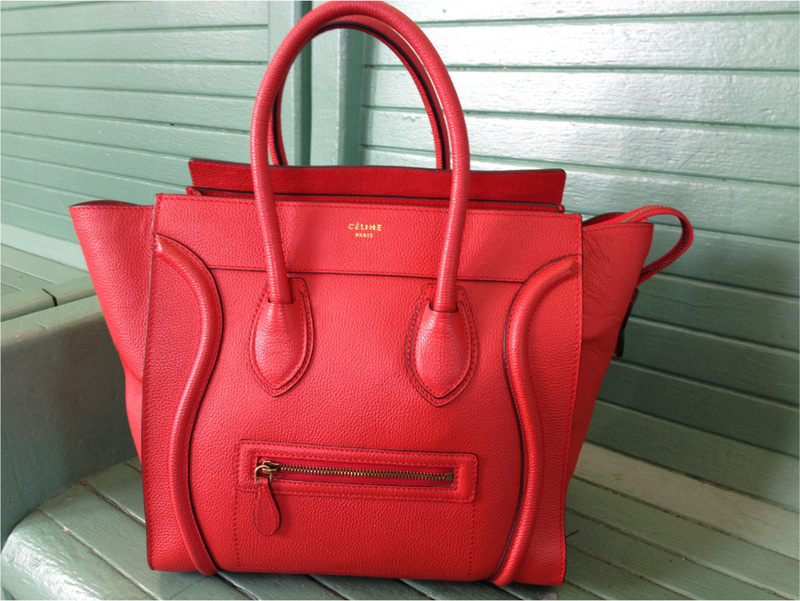 I’m smitten with my new Céline bag! It’s hard to believe that I had to sell 3 bags in order to purchase this one. I love it and don’t regret my decision one bit! This bag will definitely be a classic and treasured addition to my handbag collection. Previous PostHappy New Year/ Bonne Année Next PostTory Burch Thermos & Lunch Box WINNER!!! It’s beautiful! The color is fantastic.